Estate planning law is probably not at the top of your mind, but it should be. About 60 percent of adults haven’t developed a will or estate plan for after they pass away, noting passiveness and lack of estate as two primary reasons, according to a recent AARP article. At Valente Law in Chicago, our attorney Charles Valente is well-versed in estate planning, probate and wealth preservation law. To find out how he can help with your estate planning future, contact him today! It’s time to realize that estate planning law is important for your future, and we’re here to help you figure out how to find the right estate planning lawyer for you. 1. Determine if you even need an estate planning lawyer. Do you have a business, wealth or goods you’d like to pass on to your children, spouse or other family member? Then you’re likely in need of an estate planning lawyer, especially if you have a high net worth or complicated family dynamics. Estate planning lawyers help clients with a variety of issues, which range from drafting a will to avoiding probate and estate taxes. 2. Don’t be too concerned about the lawyer’s location. As long as the lawyer you’re interested in is licensed in the state you reside in, you shouldn’t worry about finding a decent attorney in your exact city. 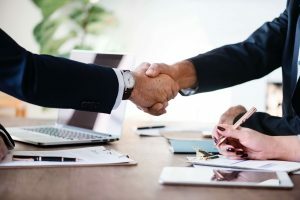 Attorneys who specialize in estate planning are usually far and few between, so if you’re only choosing a lawyer because of their convenient location, you might want to reconsider. 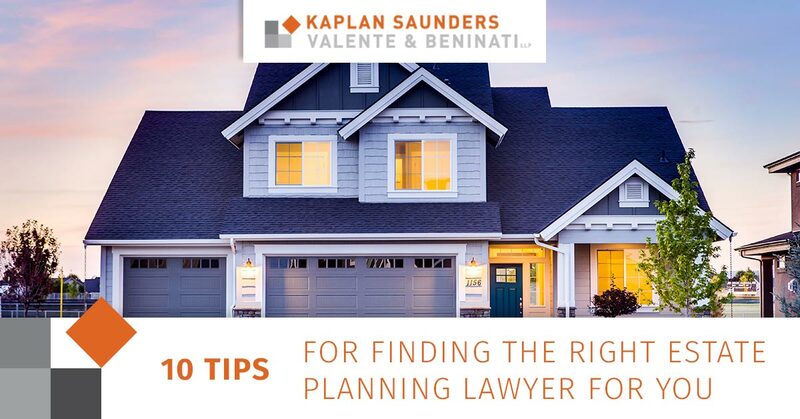 Estate planning is a very specialized field and you want to make sure you’re choosing the best lawyer for your family, even if that means taking a bit of a drive to get to their office. If you have a financial advisor, accountant or another attorney that you trust, ask them if they know of any good estate planning lawyers. Those types of professionals work closely with clients’ wills, trusts and estate plans, so it’s very likely they’ll have a pre-compiled list of qualified lawyers you can choose from. 4. Find out how much the lawyer charges and if you can afford their services. Though it’s impossible for estate planning lawyers to give you an exact estimate of how much their services will cost without knowing specific details of your case, you should still ask for an estimated fee range. This will help determine if you can afford the lawyer or if you should pursue alternative options. But don’t get caught up on the cost of a great estate planning lawyer — the real value for you is in the services they provide! It’s also important to keep in mind that, most likely, a great attorney won’t always be the most affordable option. 5. Make sure the lawyer has experience in estate planning law. You wouldn’t go to a burger restaurant if you were in the mood for Chinese food, right? It’s kind of the same idea when you’re looking for an estate planning attorney. If you have “simple” estate: A lawyer with two to three years of experience. If you have “large” estate or are in a complex situation: A lawyer with seven to 10 years of experience. 6. Ask about the lawyer’s formal education background. Don’t be afraid to ask where your attorney attained their law degree. Law schools are ranked in four tiers, with the first being the hardest to get into. If having your lawyer attend a high-rated law school is important to you, you shouldn’t hesitate to ask about their alma mater. 7. Ignore any fancy advertisements or slogans. Just because an attorney has a fancy slogan or a really well-done commercial advertisement doesn’t mean they’re qualified enough to be your lawyer. Make sure you do your research and find a lawyer who is highly respected and can do the best work for you. Don’t get sucked into a catchy slogan. 8. Find out if the lawyer has published any books or articles in their field. Ask the lawyer if they’ve had any of their written work published, whether that’s a full-on book or an article on a legitimate website. This usually will help you determine their qualifications and experience in estate planning law as well as other types of law they regularly practice. 9. Ask if the lawyer participates in any law-related professional organizations. Find out if the lawyer is a member of any well-known professional organizations. If they participate in organizations outside of their own practice, chances are they’re staying up-to-date on all estate planning developments. These types of groups provide further in-depth education and networking opportunities for lawyers. You want to make sure the lawyer you choose is educated on current events in the legal world to best protect you and your family. 10. Choose Valente Law for all your estate planning needs. Charles Valente knows the ins-and-outs of estate planning law. His goal is to provide a simple, organized and comfortable approach for his clients to help them transition whatever goods they have to the next generation. If you’re in need of a great estate planning lawyer, give Valente Law a call today at (312) 832-7890 or fill out an online request form to schedule an appointment.